Years ago, I was introduced to a white wine that was a blend of various grapes. The wine was unique and quickly turned into an ‘underground’ wine at the time. It was 1991 and the wine was called ‘Caymus Conundrum’ a wine from the Wagner family. As the years passed, the name of the wine was reduced to ‘Conundrum’. This ‘underground’ wine was now considered a ‘cult’ wine. Whenever an invitation to a dinner party appeared, the purchase of two bottles of this aromatic, white blended wine called Conundrum was my contribution. I had the Conundrum story down pat and told it over dinner. Charles Wagner Sr., a co-founder of Caymus Vineyards, always played with his wines at the dinner table. He was looking for the perfect glass of wine to accompany his food. (Today it is called a pairing.) At the dinner table he would mix various white wines on the table the perfect glass of wine. This was in 1972. 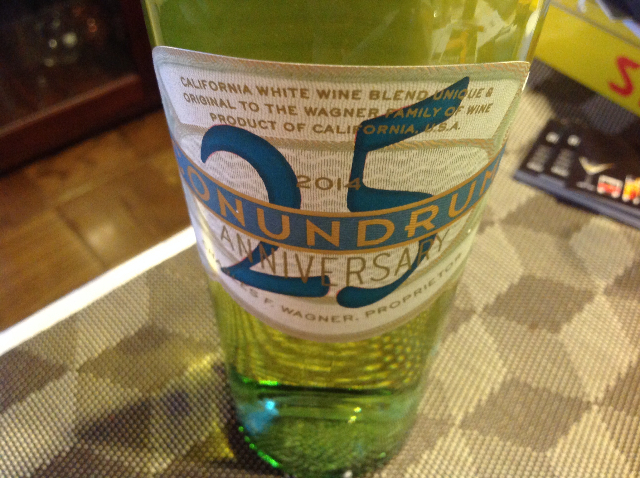 In 1989, Mr. Wagner announced the birth of Conundrum white a mysterious blend of grapes. His wine was considered to be both complex and versatile with food. Often, there were tropical notes, somewhat similar to today’s New Zealand's Sauvignon Blanc. On other days the bottles had different aromatics. The uniqueness of Conundrum white was enough to create a ‘cult’ following. In 2011, Conundrum red was introduced and like the white, the ever-changing blend of grapes and varied aromatics, have made this wine an enormous success. To this day, I always choose to bring a couple bottles of Conundrum, one white and one red, as gifts for a dinner party, as both blends tend to pair well with most foods. Easter is around the corner. I am cooking for nine guests and have purchased my Conundrum wines for the event. 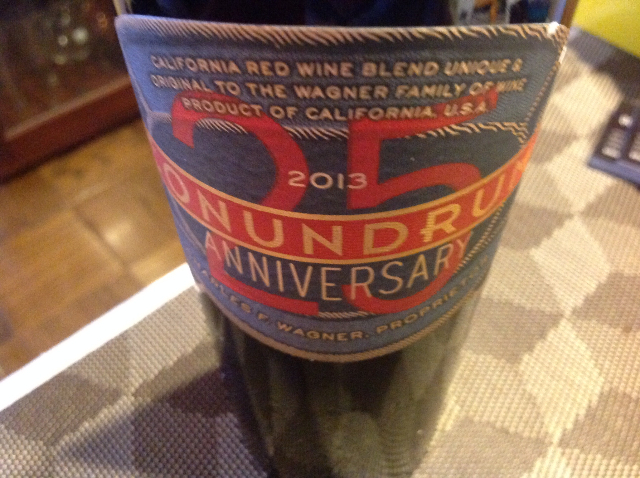 This is the 25th Anniversary of Conundrum, a wine that will always be part of my life. They are $25 a bottle for red and white. I get to tell my story to a new group of friends. Hopefully they too will become fans of these food enhancing blends.